Yang Hyun Suk hung his head down to Chinese fans. On October 11, 2018, Yang Hyun Suk apologized to the fans on Instagram, stating "I respectfully apologize to Chinese fans. I've ordered to modify and delete the wrong contents as soon as possible. We'll try to be extra careful". The apology was about what was broadcast on "YG Futre Strategy Office". Chinese fans complained that the program had used wrong Chinese map and insulted Chinese people, and, yeah, Yang Hyun Suk made a prompt apology. By the way, after the apology, Yang Hyun Suk is being widely blamed by Korean fans. Do you know why? As you may know, Yang Hyun Suk has not been communicating with Korean media and fans very actively. When YG artists were embroiled in controversy, he refused to say something about it. YG rarely announced its position on all the controversies. 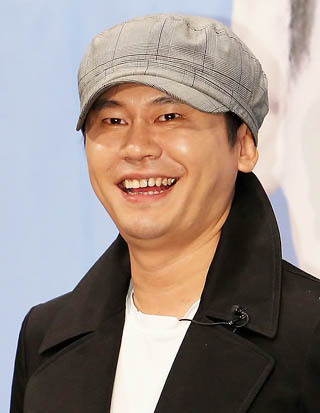 Yang Hyun Suk opened his mouth only when he needed to promote YG or its artists, giving interviews to particular media outlets that were favorable to YG. YG didn't say anything even when their artists were embroiled in dating rumors, which made many Korean fans angry. It seemed YG didn't care about fans at all. Some people around Yang Hyun Suk say he acted that way because he's very shy of strangers. Well, it's true in part. But I don't think that's all. The k-pop producer, who had lots of talented and popular k-pop stars such as G-Dragon and CL, were so confident about his artists and company. And since he was so sure about the future prosperity and success of YG, it seems that he didn't have to hang his head down to Korean media or fans. However, yeah, he hung his head down to Chinese fans. He has never used terms like "respectfully apologize" or "extra careful" in Korea, and Korean fans are now blaming him for the shameful apology, saying he surrendered to China because of money. Korean domestic music market is not big enough to make sufficient money out of concerts and sales of goods because Korea has only about 50 million people and a small percentage of them are crazed about k-pop stars. However, you know, China is a huge market, and for k-pop agencies, the country is one of the most important markets. To become a very successful k-pop agency, it is essential to make big money in the country. And the success in the country also has a large influence in k-pop agency's stock price. YG is a listed company, and YG's stock price has been quite weak since 4 out of 5 BIGBANG members joined the army. Many stock experts say YG is in a crisis situation, and Yang Hyun Suk must know it too. So, it seems that Yang Hyun Suk apologized to Chinese fans very respectfully because he knew YG was not in a good situation and the fans' anger could have a negative effect on YG's sales and stock price. It could be said he just did what he had to do as the CEO of YG, but such behavior again angered Korean fans, who think they've been ignored by Yang Hyun Suk and YG.